When the Philippines was shaken by World War II, Filipinos buckled down and joined military units that resisted the Japanese who came after the Spaniards. Battles were fought all over the country all over again. 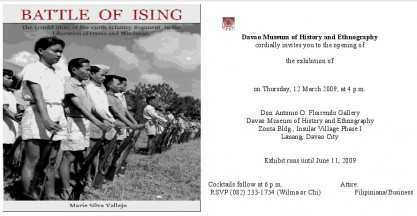 Unknown to many, a victorious one occurred in a town in Davao del Norte which was significant in leading the Japanese army to draw back and leave Davao. 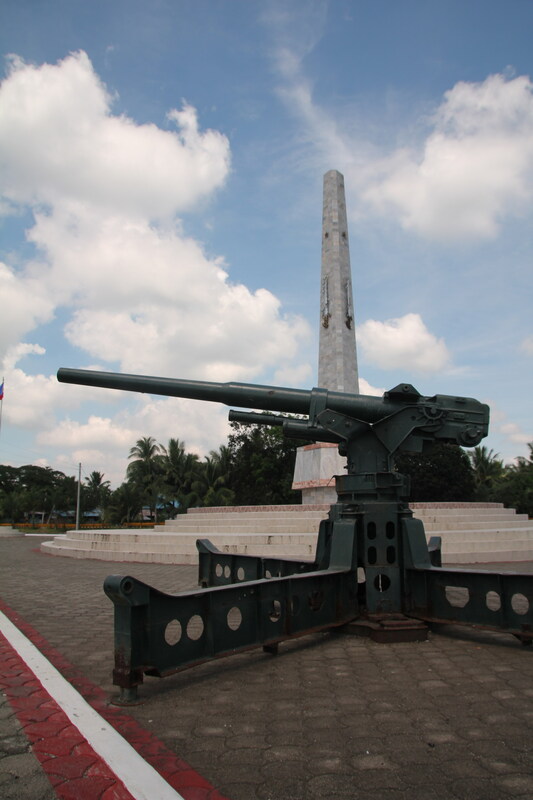 Local officials of that town, Carmen, have been seeing to it that what happened in May 1945 – the bravery of those who fought the war and drove away the Japanese army then stationed in Barangay Ising – will not be forgotten. A 30 feet high monument was built on the same spot the bloodiest battle took place, which is just a few meters away from the Japanese garrison. Today, the epic battle is being remembered as the “Battle of Ising” where a Veterans Memorial Shrine stands. This has become a tourist attraction in Carmen. The shrine is just along the national highway, 38 kilometers away from Davao City. Written there is a brief history and some of the names of those who risked their lives to win the battle. Apart from its historical significance, Carmen is fast progressing as a second class municipality. It takes advantage of its fertile land and rich marine resources. Vast rice fields may be viewed along the national highway. Its coastal areas are relied upon by the fisherfolk as a major source of livelihood such as mud crab fattening and fishing. Moreover, according to Municipal Tourism Officer Romulo Sambajon, the mangrove forests also show a potential for tourism. He says companies have been investing on them and the municipal government plans to promote the mangrove trails. The town’s seat of government symbolizes how innovative its people are headed by Mayor Marcelino Perandos. The municipal government was able to transform its backyard into an islet where activities have been held. It’s breezy and cool. Around it is a pond which is also generating income. Note: This article was edited by Mindanao Daily Mirror’s weekend editor Nikki Gomez.